Anabasis articulata is a plant widely used in popular medicine to treat several pathologies in Algerian Sahara, such as diabetes. It is also associated with two other plants to cure certain types of cancer. Few research studies have been conducted on phytochemical analysis and in vivo biological activities of this species. 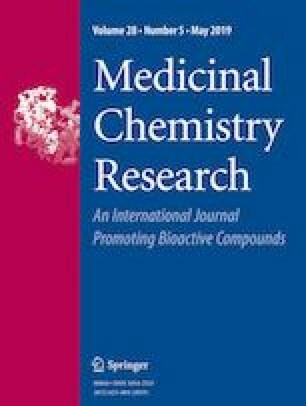 However, no report is available on chemical elucidation of alkaloids and their antioxidant and antimicrobial properties. This study aims to characterise alkaloids in A. articulata stems and to evaluate their antioxidant and antimicrobial effects. Alkaloids extraction was carried out using polar (E1; E2.1; E2.2) and apolar solvents (E3), while chemical characterisation was performed by GC/MS. In vitro antioxidant activity was assessed by tree tests: total antioxidant capacity (TAC), DPPH scavenging assay and β-carotene–linoleate inhibition. For antimicrobial activity, eight different microorganisms were tested. The results suggest that E2.2 extract had the highest TAC value (14.742 ± 0.224 mg AAE/g DM), but E3 extract presented the highest DPPH scavenging activity (EC50 = 1.242 ± 0.168 mg/mL) and a strong β-carotene–linoleate inhibition (EC50 = 0.943 ± 0.027 mg/mL). In addition, E3 extract had the strongest inhibitory effects against all tested microorganisms and produced inhibition zones ranging between 9 and 20 mm, while the MICs of this extract ranged from 0.781 to >100 mg/mL and the MBCs ranged between 1.562 and >100 mg/mL. Forty-nine compounds belonging to 16 families, namely cyclopeptide alkaloids, steroid alkaloids, quinoline alkaloids, camptothecin alkaloids, quinazoline alkaloids, quinazoline alkaloids, isoquinoline alkaloids, isoquinolone alkaloids, indole alkaloids, terpene indole alkaloids, pyridine/pyrrolidine alkaloids, piperidine alkaloids, pyrrolizidine alkaloids, purine alkaloids, acridone alkaloids, benzazonine alkaloids and homolycorine-type Amaryllidaceae alkaloids were identified. Therefore, A. articulata can be considered as a source of antioxidant and antimicrobial agents. The online version of this article ( https://doi.org/10.1007/s00044-019-02332-6) contains supplementary material, which is available to authorized users.